Earlier I have reviewed an exotic variant of SoapWorks India Chocolate fudge soap. This one is a smiliar soap but a milk and honey variant. The soaps are very tempting but the thing which breaks the heart is their diminishing size with regular usage. Anyways let's head on to the review to see how the soap fares. My experience The soap contains real goat milk and honey. The colour and fragrance is quite evident from the ingredients. The soap mildly smells of both the ingredients and is non bothering and non lingering at the same time. The soap being milky in nature quite foams similar with a milky sort. The foam is frothy and gets washed off easily. It doesn't leave a residue like the commercial soaps which take a long time to get washed off. 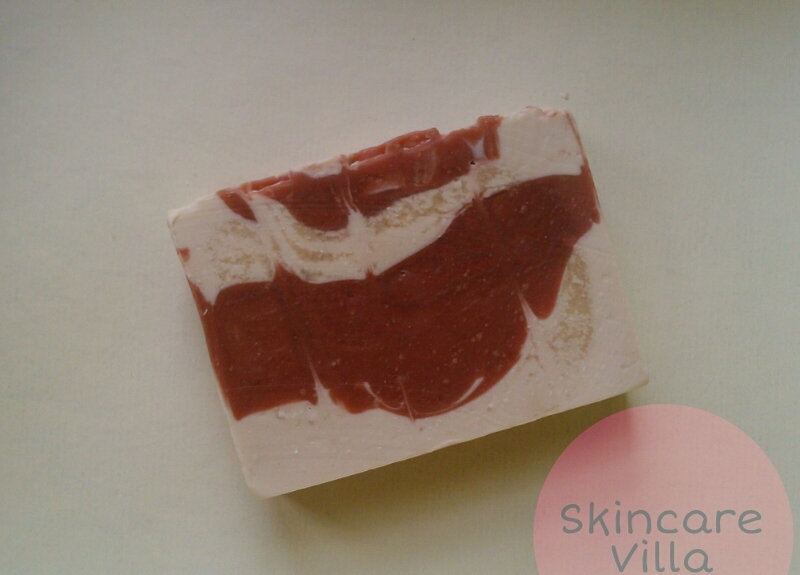 The soap doesn't dry out the skin and makes the skin smooth and soft. The skin is quite moisturised post usage so people with normal skin can also skip moisturising step after using this soap. The soap cleanses well, foams well, gets washed off well and is quite a good soap. 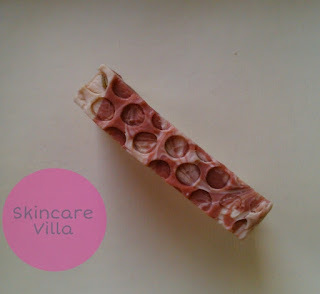 As discussed earlier the soap needs to be thoroughly dried before storage so as to prevent wastage. The soap also needs to be packaged in cardboard box to prevent any direct damage to the soap. I would totally recommend the Soapworks India soaps for their fragrance, ingredients and cleansing abilities. I would definitely recommend the SoapWorks India Milk and honey soap for it's superior quality and value for money. It efficiently cleanses the skin and moisturizes it as well. Overall it is a good soap to try if you love handmade soaps are looking for products worth money.